Serve the Greater Good With prevention, protection, & response. An online Bachelor of Science in Homeland Security (BSHLS) degree from Trident University creates a firm foundation in your homeland security career. This affordable online college degree program allows you to develop a firm foundation in the important field of homeland security. You will earn an online Bachelor of Science in Homeland Security (BSHLS) degree that will enable you to advance your career while making a significant impact on the well-being of our nation. Expand your awareness of emerging trends and their potential impact on homeland security. Identify and generalize homeland security options for decision making and action plans. Understand the ethical and legal aspects to support decision making within the homeland security field. Develop the analytical and problem-solving skills you need as a homeland security professional. Our online homeland security program is a great choice for adult students with hectic schedules. The online format allows for convenience and flexibility as it allows you to incorporate your education into your lifestyle so you can also focus on career and family responsibilities. The online program is simple to participate in and requires no special technology knowledge. As long as you are able to check e-mail and click links, you’ll be able to complete your coursework in a Trident online degree program. This high-quality, accredited online homeland security degree program is sequentially constructed to correspond to the “four pillars” of the National Preparedness Goal (2011) and the Missions of the Strategic Plan of the Department of Homeland Security (DHS) (2012). The pillars are: (1) Prevent, (2) Protect, (3) Respond, and (4) Recover. This coverage format will ensure that all essential areas are addressed so that learners will be assured fundamental coverage of the Homeland Security scope of responsibilities. The Trident Learning Model utilizes a case-based approach to ensure real-world application of the skills developed in our programs. 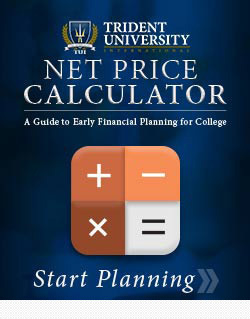 See the Trident University Catalog for full descriptions of all of our affordable program course offerings. Your courses at Trident will give you a firm foundation in the homeland security field. As a Bachelor of Science in Homeland Security (BSHLS) student, you will take a variety of classes, including: Ethics of Homeland Security, Catastrophic Events and Responses, Cyber and Physical Security Vulnerabilities and Methodologies, and more. Homeland Security courses will include scenarios and disaster simulation exercises to provide a sense of realism. The BSHLS requires 120 credits for degree completion. See the Trident University Catalog for all requirements and full descriptions of all course offerings. Students in the College of Health and Human Services are also required to meet Trident’s general education requirements as specified in our course catalog. This concentration focuses on criminal justice systems, structures, and procedure. Courses include Leadership Research Methods; Criminal Justice Systems; and Criminal Procedure. The cybersecurity concentration will begin by examining cybersecurity policy and laws, and then move on to offensive and defensive cyber actions and intelligence gathering. Real life scenarios involving threats to our critical infrastructures will be used. This concentration is designed for both military and civilian students with a desire to respond to not only national security matters, but also to hurricanes, earthquakes, toxic spills, and other natural/manmade disasters. This concentration will focus on critical infrastructure protection, disaster management, healthcare, and transportation concerns. This concentration will focus on integrating knowledge from different perspectives, problem solving and decision making in creative and innovative ways as well as leadership theory and practice. At the undergraduate level, students may transfer in credit no matter the date of completion. In cases where the content of a course is deemed outdated or no longer relevant / equivalent credits for that course will transfer as general elective credits only. Academic Excellence. Compassionate Commitment. 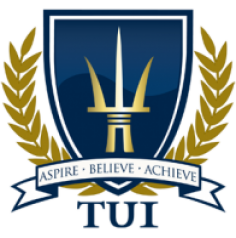 Find out why attending Trident University was special to these students. Our faculty know that teaching is a two-way street where learning is done on a daily basis. Meet our BSHLS Faculty Members. We are proud to be recognized as one of the best resources for students looking to further their education in Homeland Security.